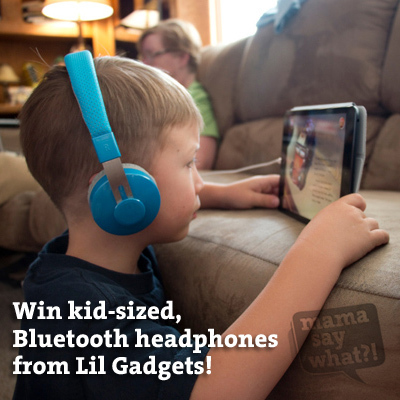 LilGadgets Headphones - Review & Giveaway Mama Say What?! | Mama Say What?! My family travels a lot, almost 100,000 miles in the last five years. The arrival of our second baby this spring suddenly made air travel a teeny bit more complicated, especially when I’m the only adult flying with our boys. 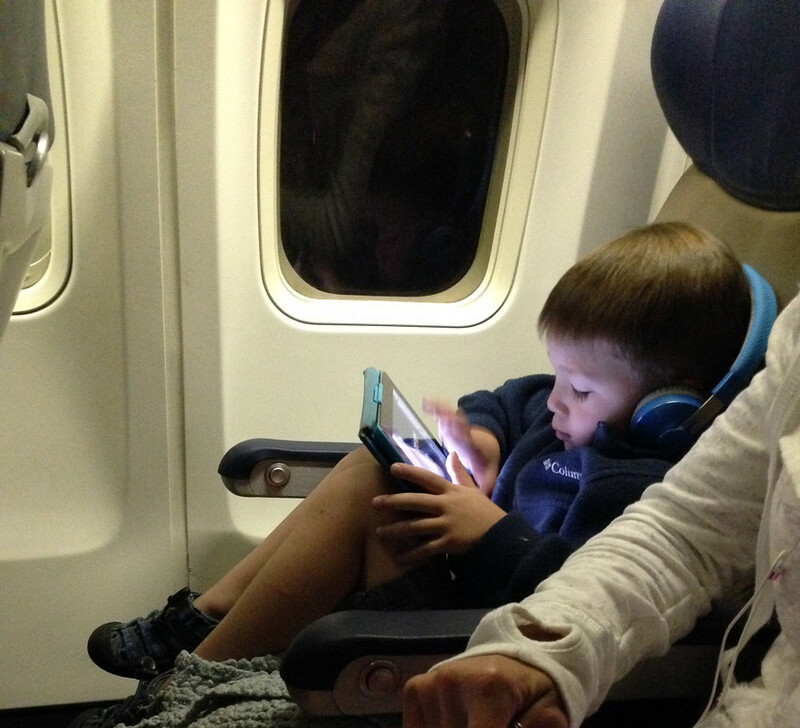 Our oldest is almost five and it’s a treat for him to get to watch videos and play games on our iPad when we fly. But with the noise of engines, he has been getting increasingly frustrated that he can’t turn the volume up loud enough to hear and not have it be disturbing to neighboring passengers. My husband and I started looking for headphone options for him. More than once we bought some inexpensive ear buds, but they were meant for adults and wouldn’t stay put. And twice, the cheapie ear buds we’ve bought have broken very easily. We were looking around for some actual headphones that were kid-sized and didn’t feel like they were going to break if you looked at them wrong. Having a limited volume range was helpful too. 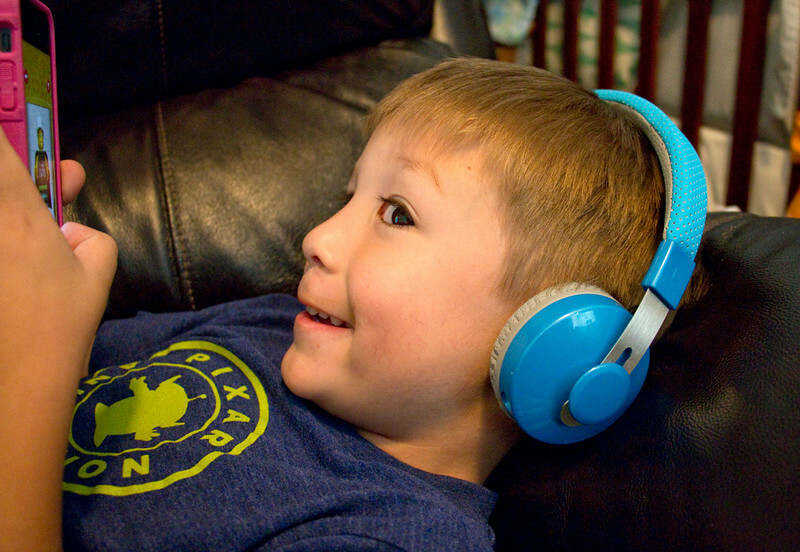 We were given an opportunity to try out the headphones from LilGadgets, and so far they’ve been fantastic! First and foremost, they’re wireless and connect to devises through Bluetooth. 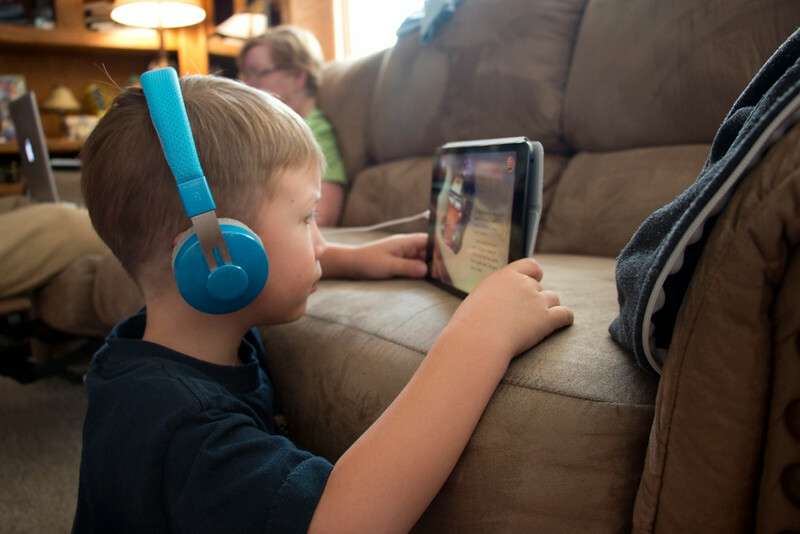 My almost-five-year old figured out how to connect the headphones to our iPad on his own; they are that easy to connect. When we’re somewhere that doesn’t have a Bluetooth connection, like the TVs on jetBlue for example, the LilGadgets headphones come with a cable to be able to use them like regular headphones. They are very easily recharged through a USB connection and seem to have a really decent battery life so far. We love the bright blue color, the easy fit for a little one’s head and the ease of use. The drawstring bag that came with them is handy for keeping the headphones and cables all in one place. My son proudly keeps his in his airplane backpack for when we travel. Winner must complete the first two entries to qualify to win (all other entries are optional). Winner must be 18 years of age or older. Winner must reside in the US only. Contest begins on Wednesday, August 20th, 2014 and ends on Tuesday, August 26th, 2014 at 11:59 p.m. PST. Check your inbox or spam folder for emails from giveaways@mamasaywhat.com or maryellen@mamasaywhat.com. Winner must respond within 48 hours or another winner will be chosen. Enter below and good luck! Added by Alex T. on August 20, 2014. 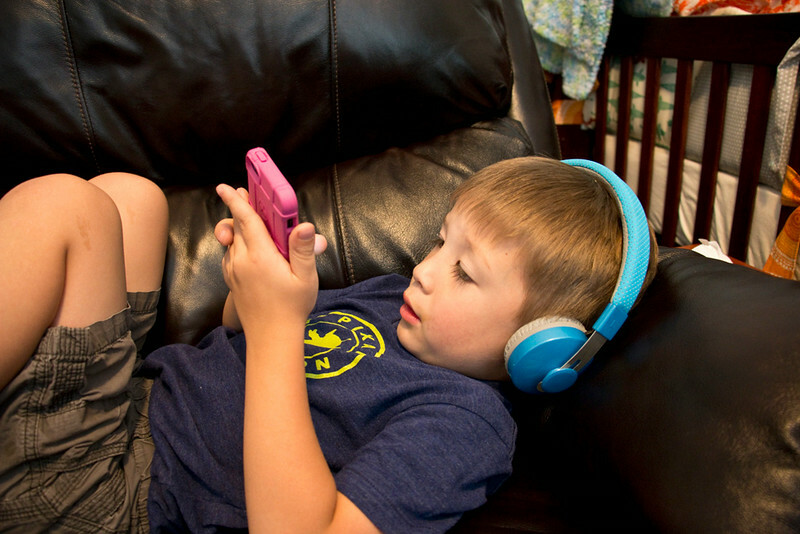 My son loves playing our IPad and he always wants to try out my ear buds (since he sees me use them), but I don’t want him to use them because I don’t like the idea of having things inside of his ears. 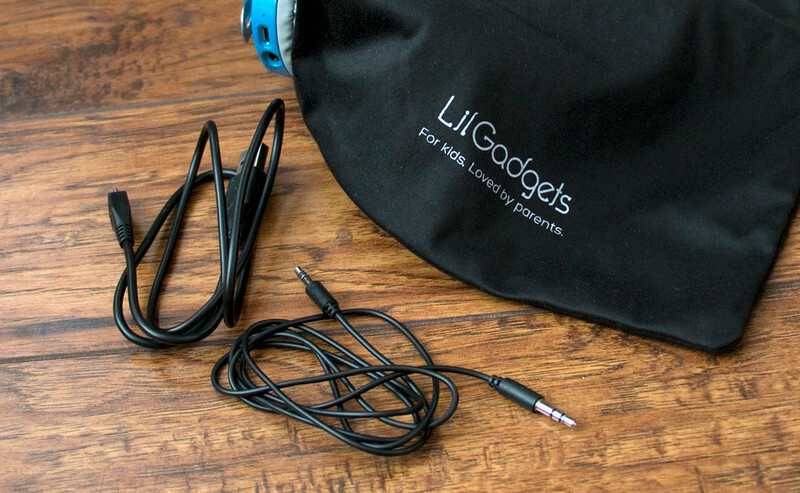 The LilGadgets headphones seem like a great alternative, and you have to love the fact that they are rechargeable!